This is just an introductory page to the "Glover" family line. Let's begin with Pearl Payne, born 1885, daughter of Shadrick Payne, and Creasy Allen. 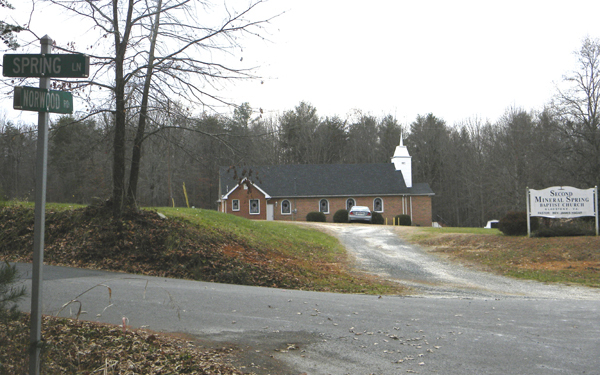 see the "Payne family line of Gladstone, Nelson, VA" page. 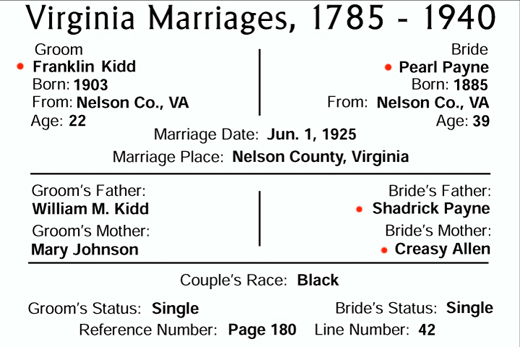 Pearl married Franklin J. Kidd, born 1903, son of William M. Kidd, and Mary Johnson. 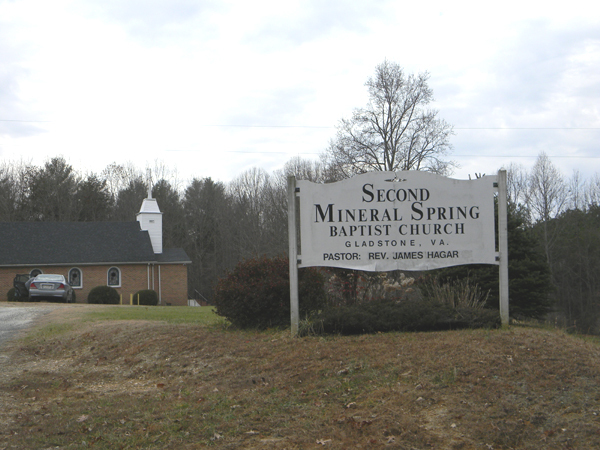 This branch of the "Kidd" family, Franklin's siblings, married into the "Glover, Irving, and Spencer" family lines. 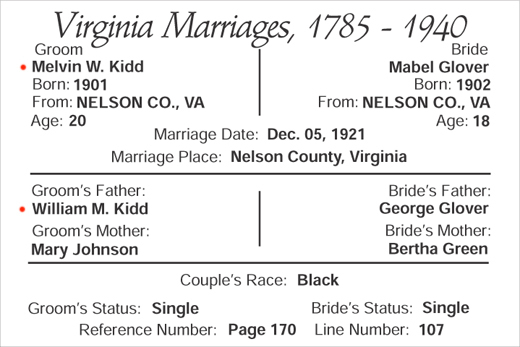 Franklin's brother Melvin W. Kidd, born 1901, married Mabel Glover, born 1902. She was the daughter of George Glover, and Bertha Green. The "Revely" family line connects here, through Melvin, and Mabel's son Percy Kidd, who married Susan Revely. The "Ellis, Giles, Harris, Mosley, and Robinson" family lines connects through Mabel's siblings. The siblings of Mabel's father, George Glover, married into the "Barbour/Barber, Helton/Hilton, Key, Loving, and Nicholas" family lines. 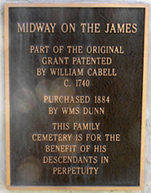 With extended kinfolk connections to the Beverly, and McCoy family lines. 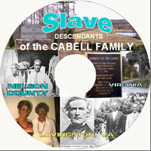 The origin of this line of Glover family members, stems from the plantations in James River, Curdsville, Buckingham, VA and were brought over to Gladstone, by their owners of the Callaway, Megginson, Horsley, and Abbott families.